Have you ever wondered how the National Teams are selected? Would you believe that the process to identify and train players starts as early as 10 years old? I am just learning about this because my daughter's coach is encouraging her to go to ODP training next month. ODP stands for the Olympic Development Program. Through this program, United States Soccer Federation identifies special players that will one day be considered for the US National Teams to represent the USA at the Olympic games and World Cup. Every state has an ODP program. Phase 1 of ODP is open to all kids not just select players. ODP consists of several training sessions located in districts across every state. These training / evaluation sessions are usually held in November / December and early spring. They take a break for the club season and then pick up again in June. These District Training sessions are conducted by ODP staff members and lots of hopeful kids participate. This is the end of the ODP experience for the 10 year olds, but kids 11 and up can advance. The District Training is also a tryout that can lead to a tournament team selection. Players selected for a district team compete against other districts. These District tournaments are basically tryouts for the State Team. About 18-22 kids will make the State Team. Once on this team, players compete in tournaments against the other state teams from neighboring states. The top kids from these tournaments are invited to go to the US National Regional camp where kids from about 12 -14 different states compete for a spot on a Regional team. The US National Teams are picked starting at the age of U14 through U23 and will represent the United States at International events all over the world. This can be a great experience for your kid. It can also be is a tough and cruel process for the kids. As a parent you need to set the right expectations for your kid before you venture down this path. ODP is not for everyone. My daughter wants to go to the District Training, so we are going to sign her up. At the very least, it will provide some good training. We will also be able to gauge how good she is or how much harder she needs to work if she wants to advance. We are realistic. We know that making the National Team, a regional team, state team or even a district team is highly unlikely, but the experience will help with Club soccer, High School or maybe even college. If you read this blog, you know that my daughter loves basketball too. So if she makes the State team she cannot play because her basketball team will be vying for an AAU National Championship in the month of June. Our objective for this year is to gain experience for when she is older. If, of course, she decides to concentrate on soccer over basketball. At age 11, she is too young to specialize. nice tips for the Youth Soccer ! Just remember ODP is run by state association so it can vary widely depending on how the state prioritizes ODP. We tried ODP at u11 -- and realized the number consideration for making the state team was if you could write the check. The coaches were good, but already involved with their own club and/or college teams -- ODP at the younger ages was an afterthought that made them a few more bucks. As the DA (boys) and ECNL (girls) become more the route that elite players take (and become identified), the whole ODP system will require revamping. It is good at the younger age group to tryout just to get a sense of the skill and athleticism of other girls her age. However, ODP is supposed to take priority over all other soccer training so do your due diligence to make sure the state association is running it accordingly. Thanks for the comment and the info - I am just learning about the process. Actually my learning will be put on hold as my daughter has decided not to do the ODP training this year. She is playing AAU basketball and CYO Volleyball - so it is just too much. I'm glad that phase 1 is open to all kids. It's a good thing that event like this exist and really a big help in developing young players. Last year was the first time we heard of the ODP. My son is 16 and made the initial pool of players but did not make the final pool. I found the process very unfair. My son has alot of speed and was able to break away countless times but no one passed him the ball. Most of the kids are returning players and all know each other, so they would just pass to their friends so they looked good. I have heard that many players start later - but I have also heard that players in the program early have an advantage because the coaches / trainers know them. Still, talent will win the day most of the time so keep trying. Odp is great , but if your daughter is really good you want her to attend a collage id camp with old enough. Were she will get her own jersey with id that is her s throughout program. During camp shes viewd by collage coaches all over. Plus an profile thats set up to be view by them. Then they have a couple tourniments that she can do . Still meant for collage prospectors. If she decides they give her full uniform and ball and place her on a usssa team. This is for 13 and up. Only 2 percent of players come from highschool. The more you get her noticed the better. My daughter is 15 she plays varsity soccer and basketball. Odp id a good program , but they miss alot of great talent . My daughter is good enough to blend in with the US team now at 15. Everyone who sees her play says that. She was born to play has all her life. What shes not scoring shes assisting . And shes a goalie. But its all about getting the right people to see her. :) your kid might not be 13 yet but just somthing to keep in mind. :). My daughter will be trying this summer at 14 for the first time after being prompted by some fellow parents and a couple of her coaches. Our club has several girls participating at varying levels from pool up to the National Team. I will tell you this, after being at our club for several years now, I know most of the girls pretty well and where they stand. I have seen strong players not make it and players who were good but, not great make it. If your player believes in themselves, do not let a first turn down dictate trying again. As the author said, talent eventually shows through. I know of girls who tried out 2-3 times before they made ODP. They became completely different players from 12 years old to 15. Practice, hard work and maturity is the great equalizer. Don't give up as long as your player loves it. Thanks especially for the last comment. My son U13 from a Div 1 team in the NCSL had an amazing performance at Maryland's ODP last week. Not only did he show his technical talents & speed, but was the only kid who scored Hatricks on both days he tried out..not that scoring goals means anything right? Well, here's the part where I sound like the sore loser that no one wants to hear lol. Well, lets just put it this way, after I recognized some kids from Div 4, 5, & 6 making ODP, what is one to believe. "that those kids had a really good tryout"?? Come on really? Being an Investigator by trade, I opened my own fair minded case & went to work. I soon realized that those kids coaches were also evaluating & not supposed to be evaluating their own players, but well "A Good Ol Boy Network" exists in a lot of organizations don't they? Just look within your own company or agency. I mean..it's human nature to wanna take care of your own. Oh yeah, and one of the coaches who wasn't supposed to evaluate his own-was because I sat there watching him. All 3 of his Div 4 players miraculously made it...even his own bench warmer from Div 7. My son lost all interest in this venue & I don't think he'll be back. You wouldn't believe the kids they let into this or the coaches for that matter. This is really a good way to make a good soccer team for any world class competition. I think choosing the right and highly promising potential players are must for any team. 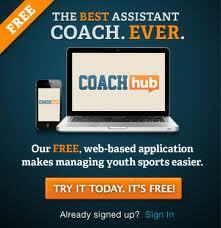 Moreover, a motivation coach is also important to motivate the players daily! For developing a soccer team in a real way, you should make it properly. Proper equipment should be needed for developing it. I think soccer shoes should be flexible, comfortable with super grip. What’s you think? Welcome to the home of U.S. Soccer, where you can find the latest USMNT and USWNT soccer news, rosters, tournament results, scoring highlights and more world cup.